At first glance, Field Notes are simple, 48-page notebooks that fit into your back pocket. They’re good quality, relatively durable, and disposable – a great notebook for grocery and “to-do” lists. But through clever marketing and amazing design work, they’ve also become collectors’ items, and I’m afraid to say that I’ve totally bought into it. At this point, I probably won’t ever need to buy another set of Field Notes again in my life. Yet I’m always compelled to shell out another $10 for the next limited edition. To see why, just take a look at the promotional video for the Fall 2015 (“Shenandoah”) Field Notes where a narrator reads an excerpt from Thomas Jefferson’s Notes on the State of Virginia over beautiful images of North American forestry. Instead of a commercial, it looks more like an outtake from BBC’s Planet Earth. So, of course, I bought the Shenandoah edition. I couldn’t help myself. 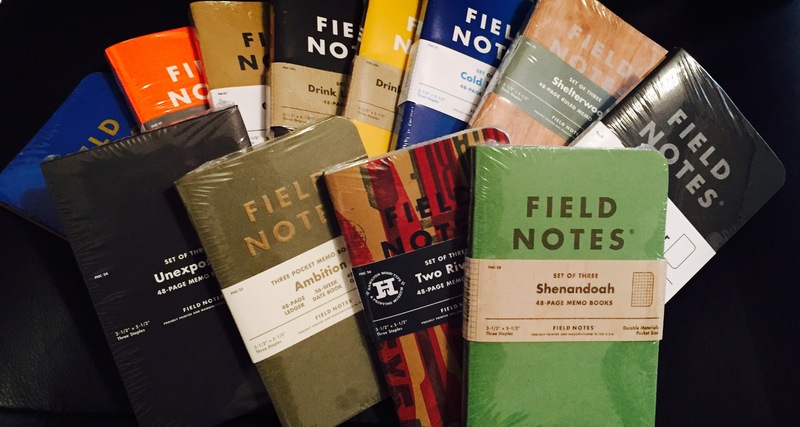 I even purchased a quarterly subscription to Field Notes, so each limited edition will arrive at my doorstep with the changing of the seasons. Unfortunately, this leaves me in a bit of a dilemma: what the hell do I do with all these notebooks? Use them? Sell them? Give them away? Or just save them in the original packaging to watch them collect dust on my shelf? 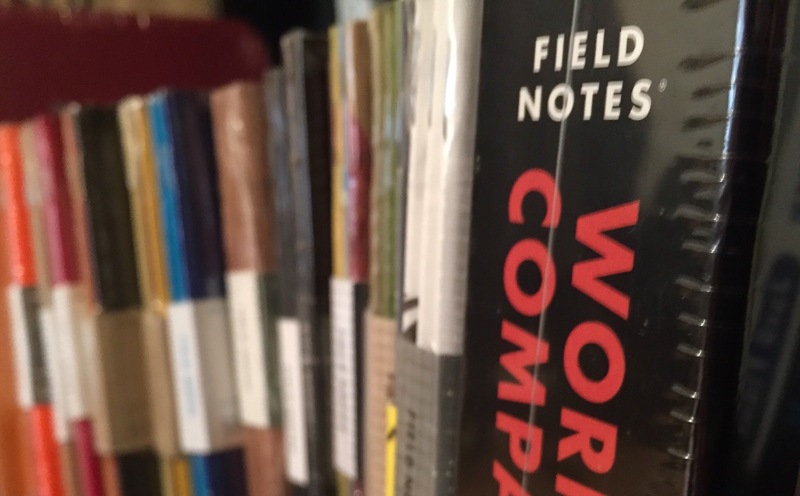 Ever since field note began printing limited editions in 2008, some of them have become very rare, and it’s not unusual to find these editions going for hundreds of dollars on eBay. But, as the great Beanie Baby crash of the late 90s might suggest, it’s probably a pipe dream to think that they’ll retain that level of value. Selling off my collection in the future is not something I’d ever pin my hopes on. As far as I can see, they don’t do any good wrapped up in cellophane either. That isn’t to say I don’t plan on saving any (I’ll run out of things to write before I can open them all), but I would never be willing to pay so much money that I’d be uncomfortable writing in them. I know this means I’ll never have a complete set, but I’m okay with that. I don’t need to be able to say, “I have them all!” I’d rather say, “I’ve used them all” – but that’s a different sort of challenge. And if I find anybody who appreciates these little notebooks like I do, perhaps I’d pass along one or two spares (as long as they’re not left to collect dust a shelf!). 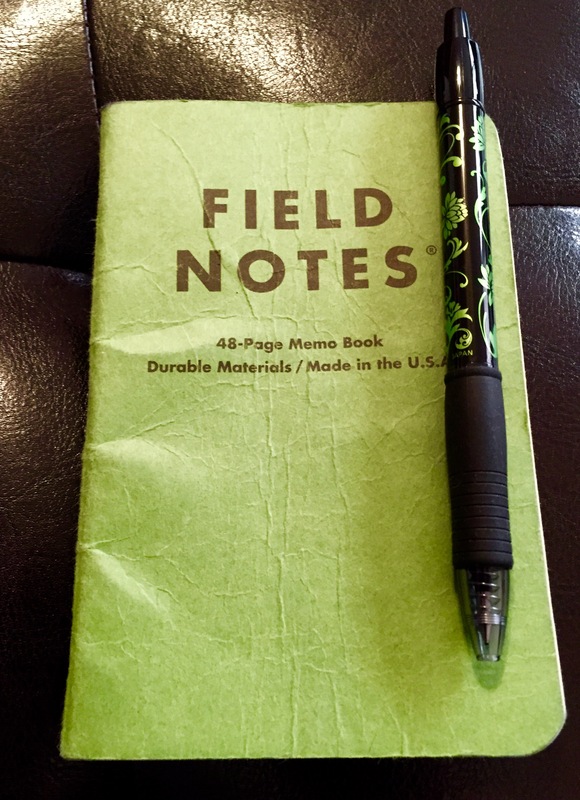 Well, if you can wait, I’m planning some sort of giveaway of a few of my rarer Field Notes soon. A giveaway sounds great to me. It will probably be sometime mid December, but I have no hard plans right now. I think I remember seeing an orange Field Notes with plasticized pages that could still absorb ink for your really tough use cases. That one caught my interest. Expedition Edition. Field Notes still makes/sells that one. I have a 3-pack of those notebooks, but I haven’t used them (because I’ve yet to have a need). I bet that one has a good applications list.